Apple's FaceTime bug allowed people to eavesdrop on others. 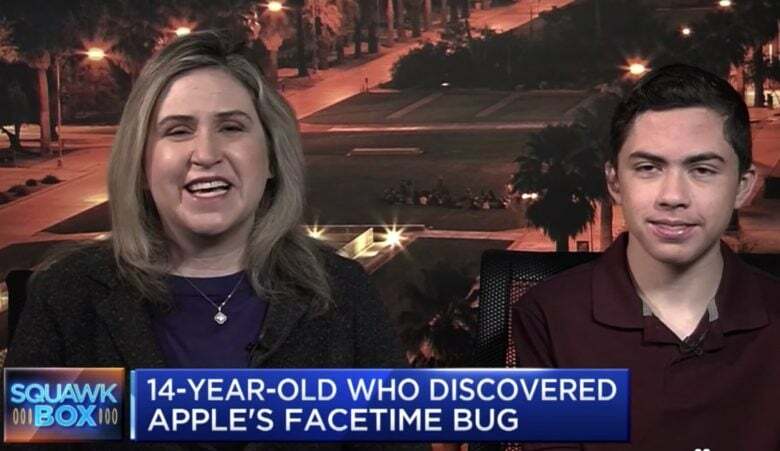 The 14-year-old kid who accidentally discovered the recent FaceTime eavesdropping bug has been told by Apple that he will be eligible for the company’s bug bounty program. Apple set up its bug bounty program in 2016, offering rewards of up to $200,000 for security researchers who find vulnerabilities on the company’s software platforms. It’s not clear how much Grant Thompson can expect to claim from Apple — although it will reportedly go toward his college tuition savings. Thompson said that his friends tested the bug for around 30 minutes, before Thompson told his mom about it. She then tried contacting Apple for 10 days — reaching out via Apple’s online feedback forms, through Facebook, Twitter, faxing, phoning, and registering as a developer to send in a bug report. For whatever reason, Apple failed to respond until the story was picked up by the media. How Apple responded to this teen found the iPhone FaceTime bug from CNBC. Apple has since apologized for this and said that a bug fix is on the way, and that it aims to improve the ease with which members of the public can report similar vulnerabilities. It also taken the Group FaceTime servers offline so that the bug cannot be abused. The executive (whose name hasn’t been shared, but is a software engineering manager at Apple) then said that Grant is eligible for Apple’s bug bounty program. While the family has yet to hear what this will entail, Apple has said that it will follow up with details.